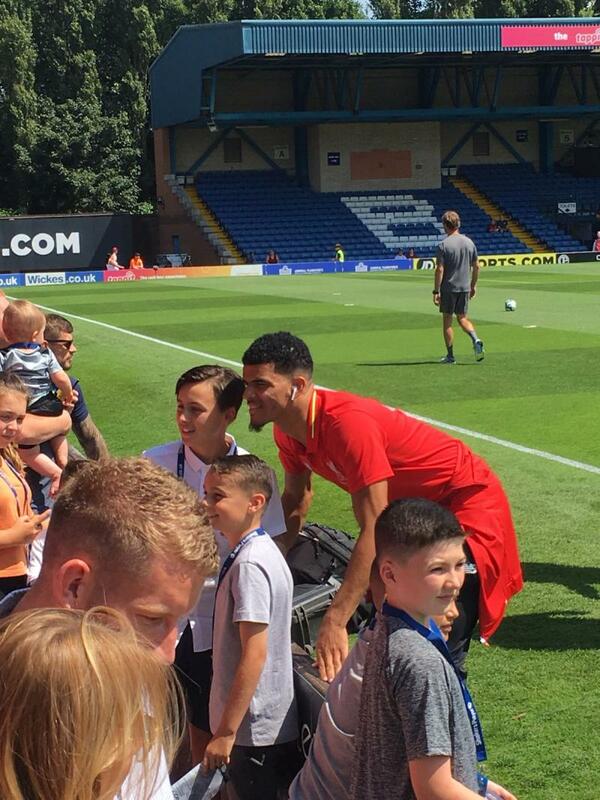 Follow all of the action as Liverpool play their third pre-season game of 2018-19 at Bury, with live updates, photos, videos, stats and more throughout the day. 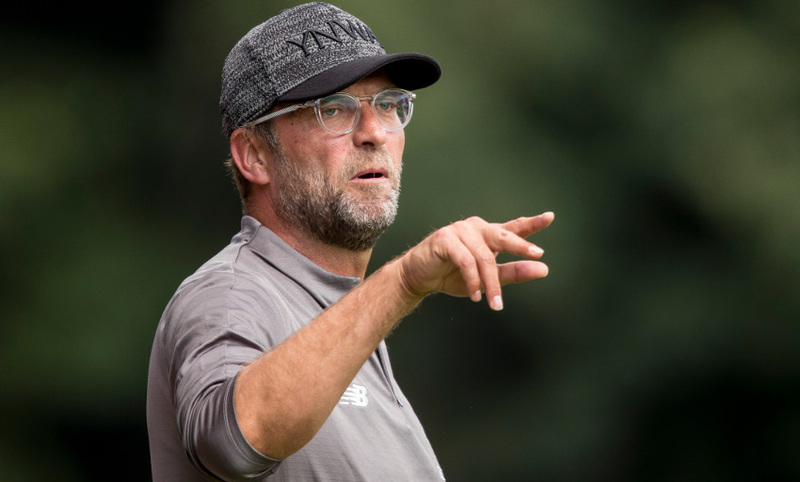 Jürgen Klopp feels the intensity of training in the last few days meant Liverpool were not able to muster a performance worthy of a victory in Saturday’s 0-0 friendly draw with Bury. For the manager's full post-match thoughts on his side's display, Curtis Jones, Adam Lallana and more, click here. 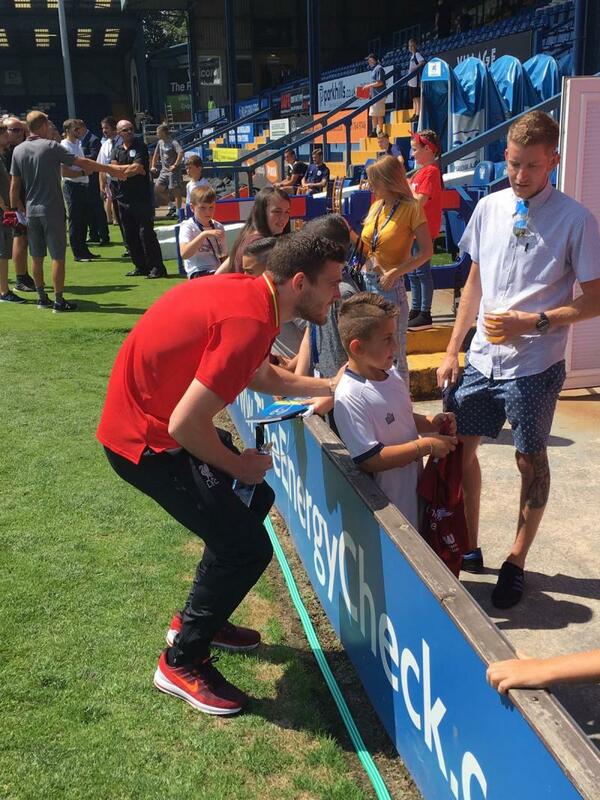 The final whistle has gone and Liverpool's third friendly of the summer ends goalless. 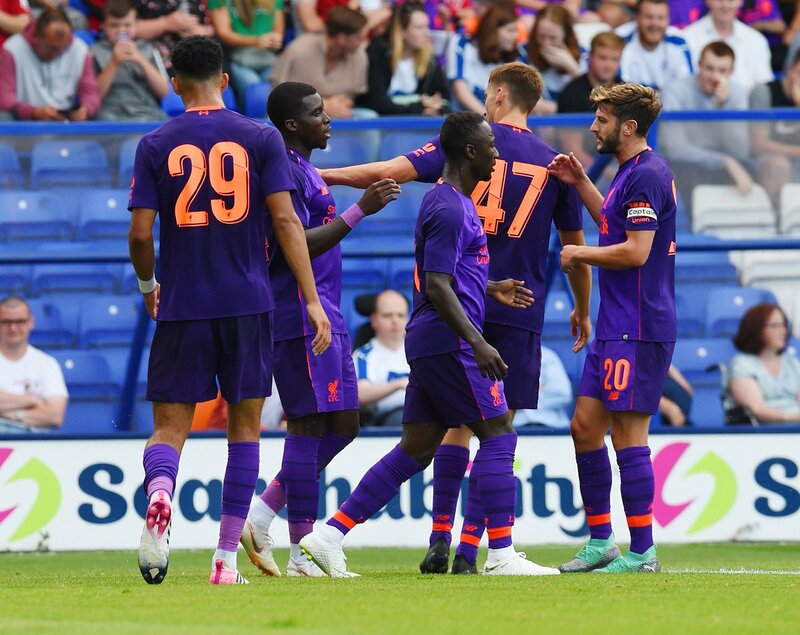 Sheyi Ojo and Dominic Solanke each saw efforts cleared off the line either side of half-time and Ben Woodburn was denied by an outstanding save in the second period, but the Reds couldn't make it three wins from three pre-season games. Blackburn Rovers at Ewood Park on Thursday is next up as preparations for 2018-19 continue. Keita plays in Camacho, but the youngster's low shot is saved. 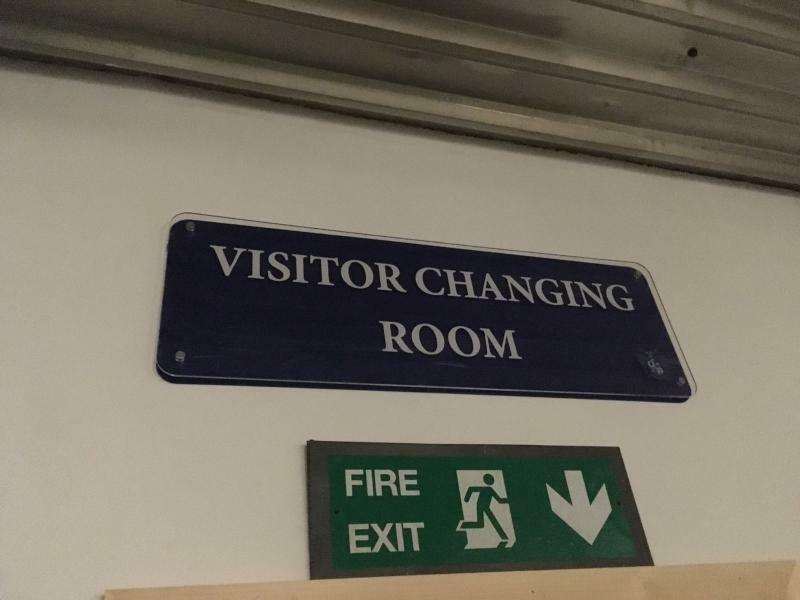 Looks like it's finishing 0-0, this. Keita, who has once again been bright here, skips free down the left but his low cross is diverted wide by Phillips. Robertson displays his pace to get back in and intercept after Bury's wideman had sprung free down the right. Just over five minutes left. Can Liverpool find a winner? 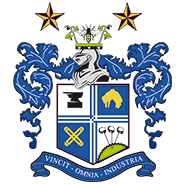 Jordan Archer thinks he's given Bury the lead by converting a free-kick that came into the box, only for the assistant's flag to deny him. Keita bundles his way through a couple of challenges in the area and the ball falls for Camacho, who swivels and sends a left-footed shot wide. Kamil Grabara is on for Loris Karius. A brilliant save by Murphy denies Ben Woodburn! Camacho drove on from the right and slipped in the young Welshman, who curled a right-footed shot towards the top corner only to be denied by the Bury 'keeper. Lovely link up between Lallana and Solanke ends with the latter having a low shot hacked off the goalline, before Bury go up the other end and strike the post through Ryan Cooney. 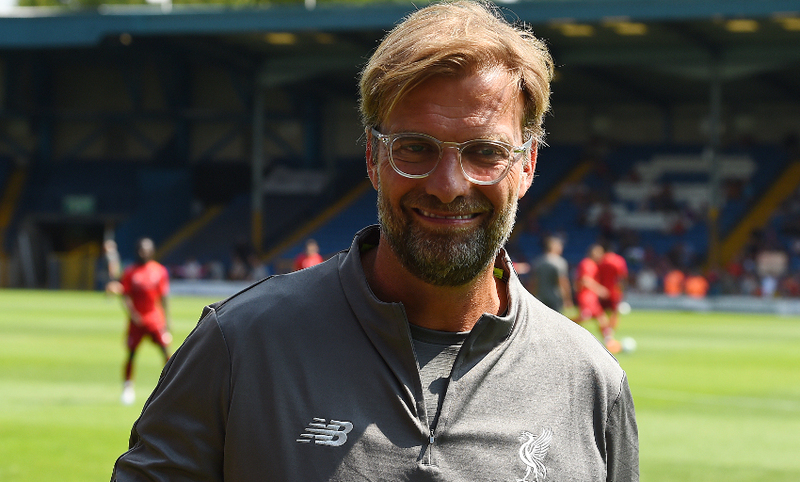 We're back under way here and Klopp has made 10 changes to his team at half-time. Keita, Robertson and Gomez are among those introduced, while Lallana captains the side. Only Karius remains from the first-half team. 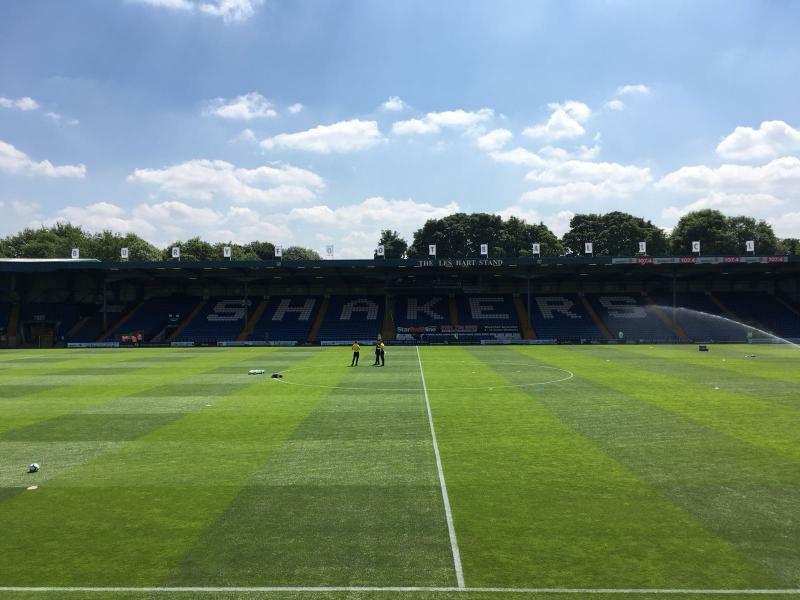 And that's that for the first half here at Gigg Lane. The Reds, unsurprisingly, have had the vast majority of the ball, but they've found it tough to test Bury 'keepr Murphy. Ojo went closest to breaking the deadlock, when his shot beat Murphy but was cleared off the line. Another period of Liverpool possession ends with Curtis Jones, who has played well in this first half, shooting over from distance. 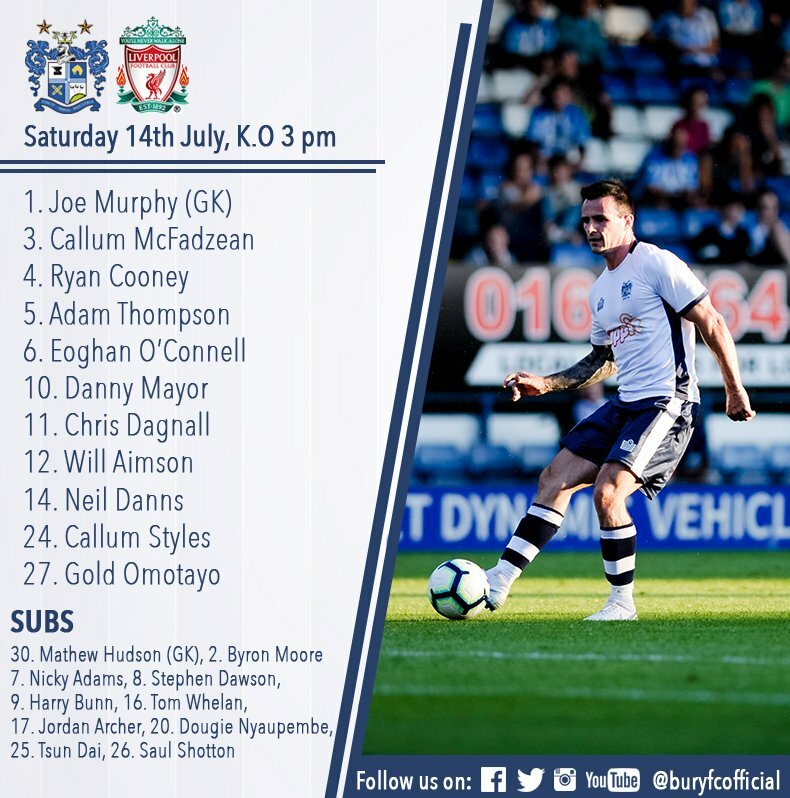 Bury are nearly gifted an opening goal as Gold Omotayo intercepts Moreno's back-pass, only to take a heavy first touch around Karius that rolls out of play. The Reds still finding it tough to pick the lock of Bury's well-drilled set-up, here. 10 minutes until the interval. Ojo sees a goal-bound curler cleared off the line after unselfish work by Sturridge. That's the closest we've come to an opener so far! Liverpool enjoying lengthy spells of possession here, without yet being able to carve out clear sights of Murphy's goal. The players are now taking a short drinks break, with Klopp taking the opportunity to issue some instructions to his men. Origi is fed down the left by Jones and Sturridge can't quite make a telling connection on the Belgian's cross. Sturridge, dropping deep to pick up possession, then overhits a throughball intended for Milner. Matip then goes close himself with a header from Milner's outswinging corner. 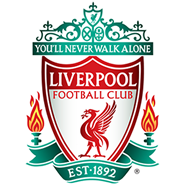 Better from Liverpool, who've just carved out the first real chance of the game. An incisive forward pass from the returning Joel Matip finds Divock Origi, who times his run superbly but sees his curled effort saved by Joe Murphy. 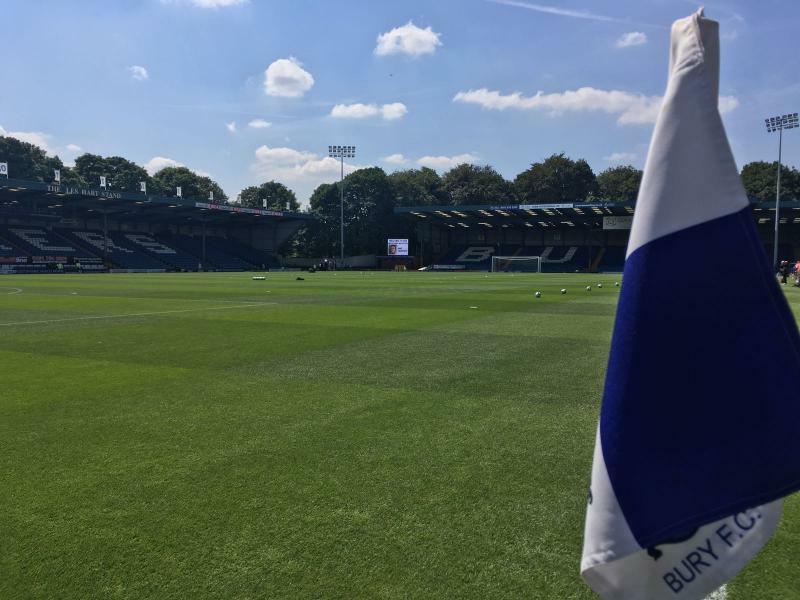 Bury have a made a strong start here, and Van Dijk had to be alert to clear Callum McFadzean's cross from the left with several home players waiting to convert. Jürgen Klopp provided an update on a number of topics while speaking to LFC TV pre-match here at the Energy Check Stadium. Click the links below for the latest. On the reasons behind Danny Ward's absence. The latest on Harry Wilson. When Xherdan Shaqiri will join up with Reds. Danny Ward is not part of today's matchday squad as he has remained at Melwood to undergo a full training session, with Loris Karius set to play for longer than 45 minutes today. Ward is in line to start at Blackburn Rovers on Thursday night. 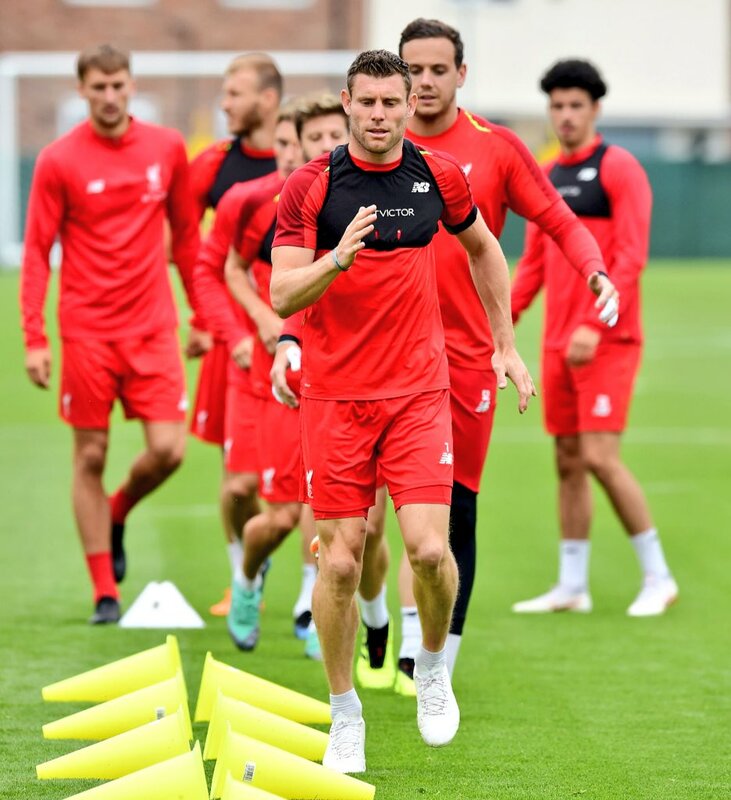 Starting XI: Karius, Clyne, Van Dijk, Matip, Moreno, Milner, Fabinho, Ojo, Jones, Origi, Sturridge. 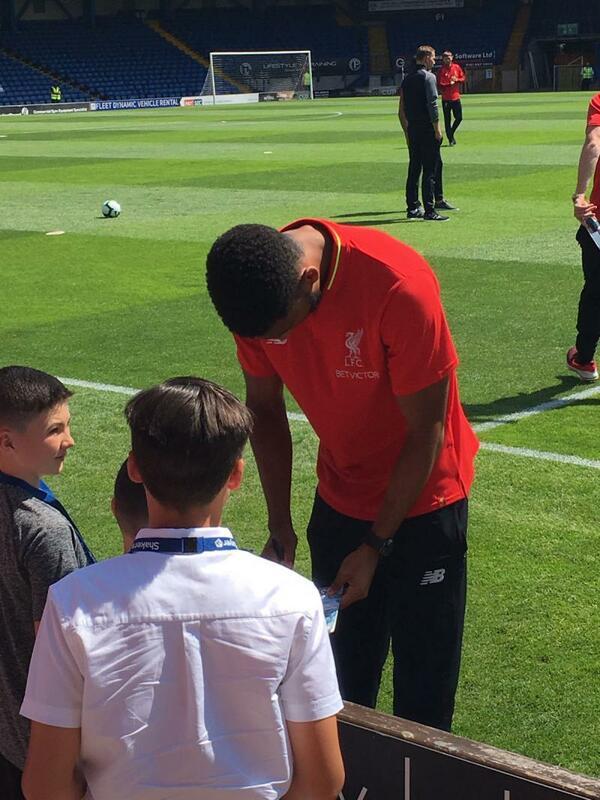 Subs: Grabara, Keita, Gomez, Klavan, Lallana, Robertson, Solanke, Kent, Phillips, Woodburn, Camacho, Chirivella. We're around half an hour away from team news breaking, but here's what we know already. We'll bring you the starting XI shortly! 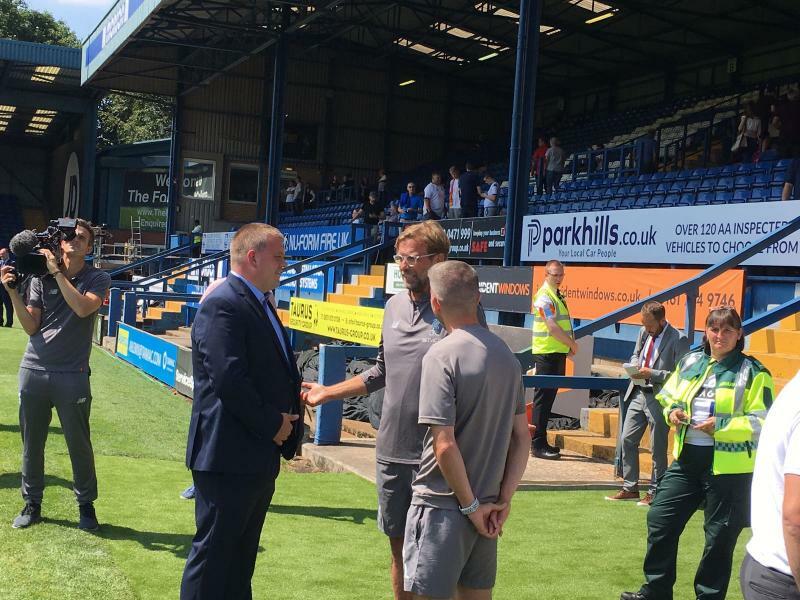 Liverpool's second pre-season friendly saw them earn a 3-2 victory at Tranmere Rovers. Go behind the scenes of that win with the LFCTV GO video embedded below. 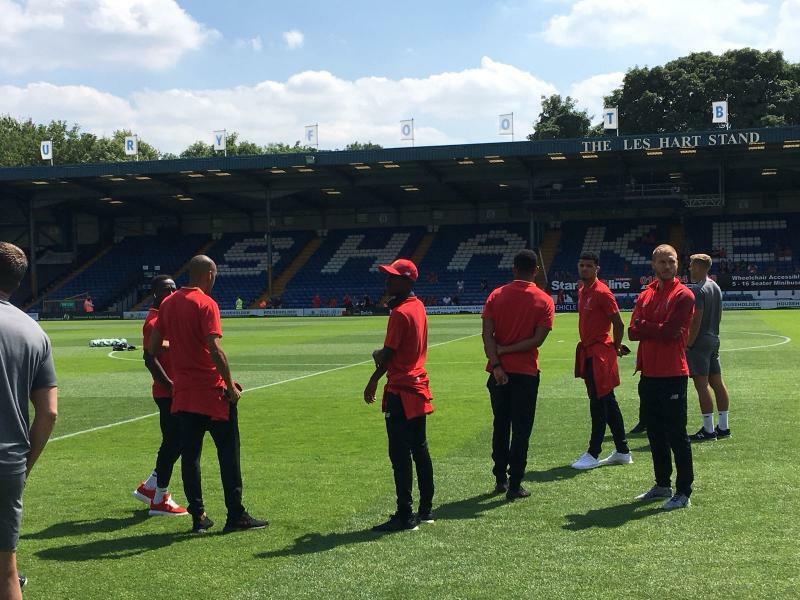 Liverpool contest their third pre-season friendly of the summer today, taking on Bury at the Energy Check Stadium, and we'll be there to bring you every kick with our live matchday blog. The Reds have earned wins over Chester and Tranmere Rovers thus far - can they make it three on the bounce as they face Ryan Lowe's men?